Leading building company Simonds have been selected by Bean Media Group for their superiority in the supply chain management field. 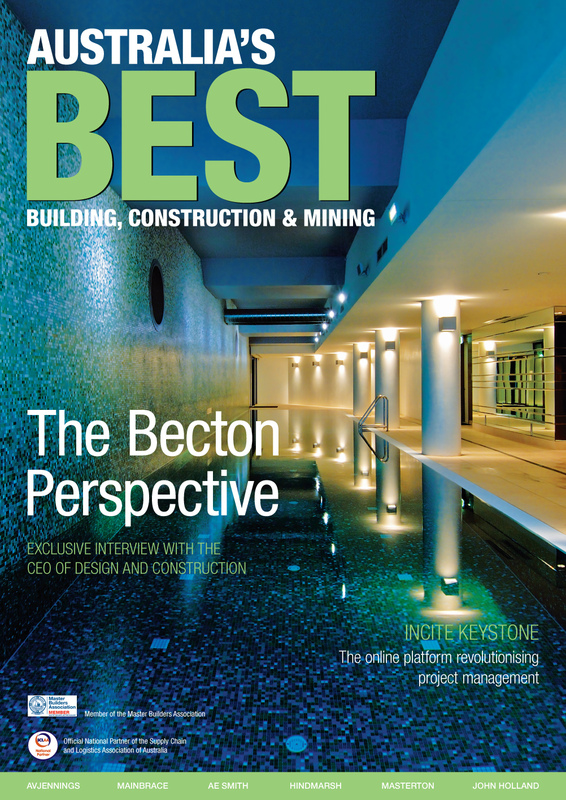 Simonds will be featured in Bean Media's excelling publication Australia's Best Building, Construction and Mining released in October 2009. Gary Simonds always knew he was going to be a builder. His father, Cyril, was a builder, as was his grandfather, Ernest. In fact, the line of Simonds builders can be traced several generations back through the family tree in England, Gary believes. By the time young Gary finished his apprenticeship and nailed a sign declaring 'Open for business' to the fence of his Altona home - a house he had built for himself - he had already built several homes. His very first house he built for his mother at the age of 16. Nearly 60 years later, Gary Simonds is the proud patriarch and principal director of a leading Australian building company, Simonds Homes - and the family tradition continues: Gary's son Mark is a Simonds director. His grandchildren Brett and Holly have also joined the family firm. "When you're a family business, you sit at the dinner table and talk about the business of building homes," Gary says. "It's in your blood. You just grow up with it. Things that are natural to us are not necessarily natural to other people." Over the decades, Gary has watched the trends come and go, noting an increase in the demand for open-plan and indoor-outdoor living and environmentally sustainable housing. With its family focus, the company stayed ahead of the trends, continuing to meet the needs of Australian families similar to their own. The full story can be downloaded here http://www.beanmedia.com.au/profiles/Simonds.pdf.